This letter is to express my patent objection to the bigoted portrayal of the Church of Scientology in Marina Hyde’s column published in the Guardian today. Hyde’s column displays ignorance of the Scientology religion, particularly with the religious artifact the Electro-psychometer, or E-Meter. Her treatment of the subject goes out of its way to generate prejudice against the Church and the many practicing Scientologists in Great Britain and abroad. Virtually every line of her description of Scientology contains snide remarks generated by her inability to rise beyond her own ignorance. 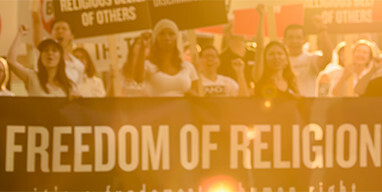 Let’s be clear, Scientology is the religion of millions of people all over the world. And more than that, much smarter and more learned people than Ms Hyde have no doubt that it is a religion, even if not theirs, and that includes the Supreme Court of the United Kingdom, and they took a damned sight closer look at it than Marina Hyde ever did. Many scholars, religious people and others actually understand and revere the E-Meter for the brilliant confluence of science and religion that it is. So, please, do not consider this a letter intended to defend Scientology on the basis of “freedom of religion.” It is far more than that. The Church and its members work to create a better society for everyone, regardless of their religion or belief. Our efforts in drug prevention, drug rehabilitation, literacy, criminal reform, morality, human rights and interfaith cooperation are, factually, legendary. Per capita, Scientologists engage in more community betterment than can be said of any other religion. That’s not to knock other religions. It is to state that we are a new religion, just 63 years old, and, as can be expected, with prejudiced and ill-informed press such as published in your paper today, members of Scientology possess a high level of dedication. The snide, snobby, condescending and bigoted view of one far too satisfied with her own ignorance is grossly out of place in today’s world where it is shameful to fan hatred toward members of any religion. If you care to find out what Scientology really is, please look us up at www.scientology.org.